Scott Cook is now a regular and certainly a favourite performer at the Oddfellows Hall. Scott Cook (www.scottcook.net) has been living out of a van or a backpack for the last eleven years, touring almost incessantly across Canada, the US, Europe, Asia, Australia and elsewhere, and distilling his experiences into straight-talking, keenly observant verse. 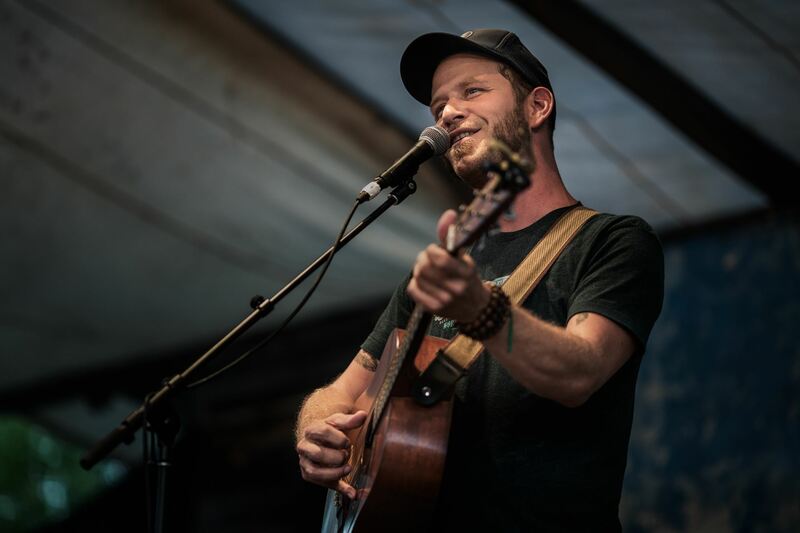 Scott has already completed six tours of Australia, including talked-about performances at Woodford, Cobargo, Candelo, Cygnet, Newstead, Illawarra, the National, and Yackandandah folk festivals. In 2019 he's returning with a new intercontinental string-band called The She'll Be Rights, consisting of fellow Canadian Bramwell Park on banjo and mandolin, and Aussie comrades Esther Henderson on fiddle and Liz Frencham on upright bass. Liz will also be opening the shows with short solo sets of her own material. They're touring in support of Cook's sixth studio album, Further Down the Line, which earned him his second Canadian Folk Music Award nomination, and comes packaged in a 132-page book containing a look back, in words and pictures, on his last decade of constant travel. All the hard miles notwithstanding, he still believes that songs can change your life, and your life can change the world. Come on, grab a ticket and get ready for another thrilling ride with Scott!